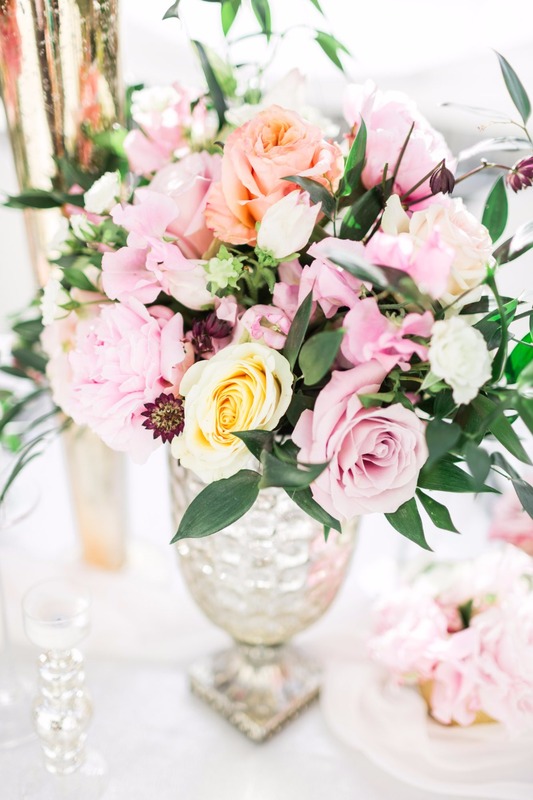 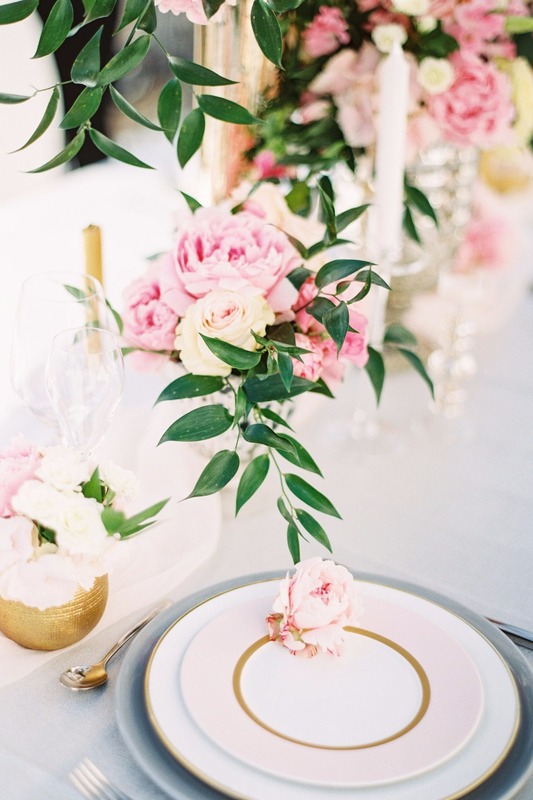 Okay so maybe Paris isn't going to happen, but we are fairly certain this gorgeous modern pink tablescape will work for you no matter the venue! 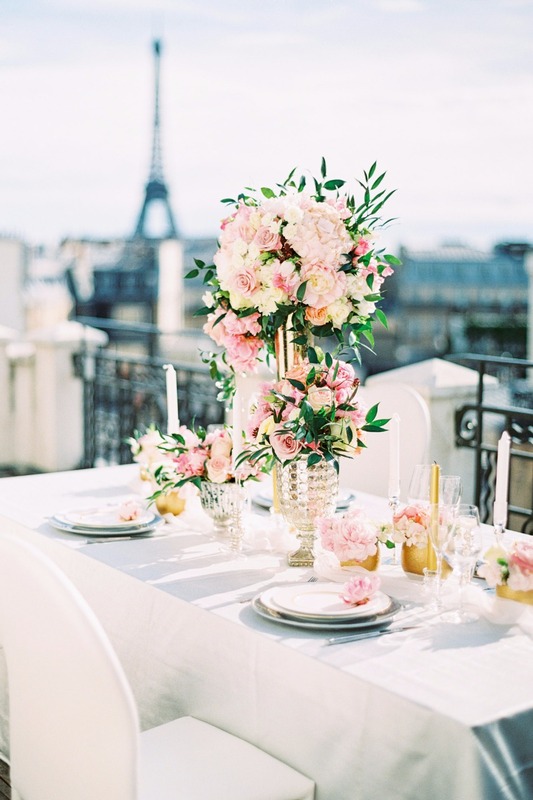 So sit back, take a few notes and soak up the idea of treating yourself and your guests to this amazing view while you dine on five star French cuisine. 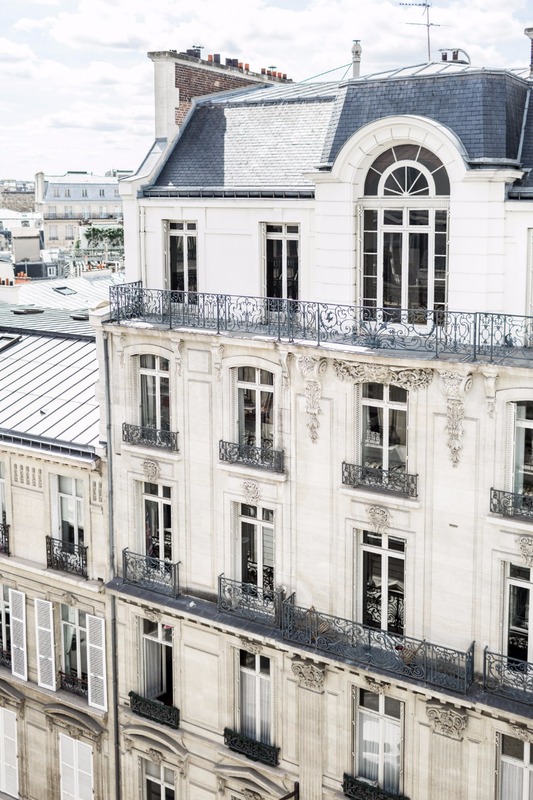 Still needing a little more Paris in your day? 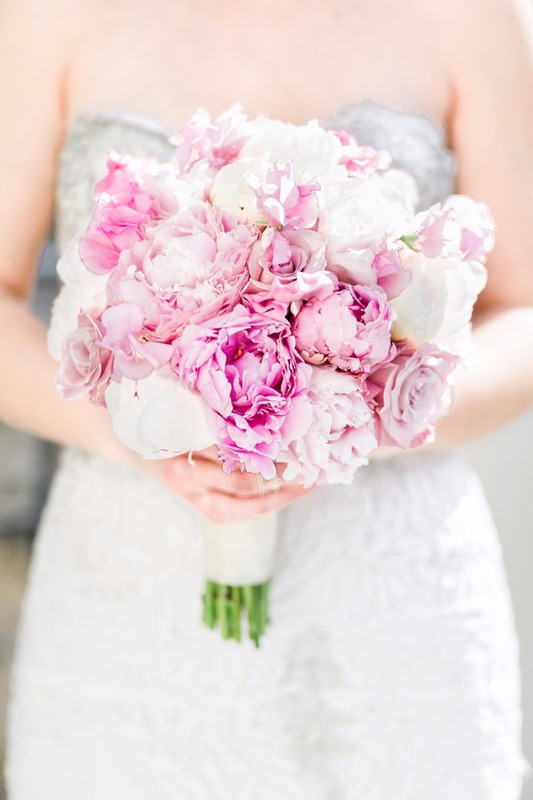 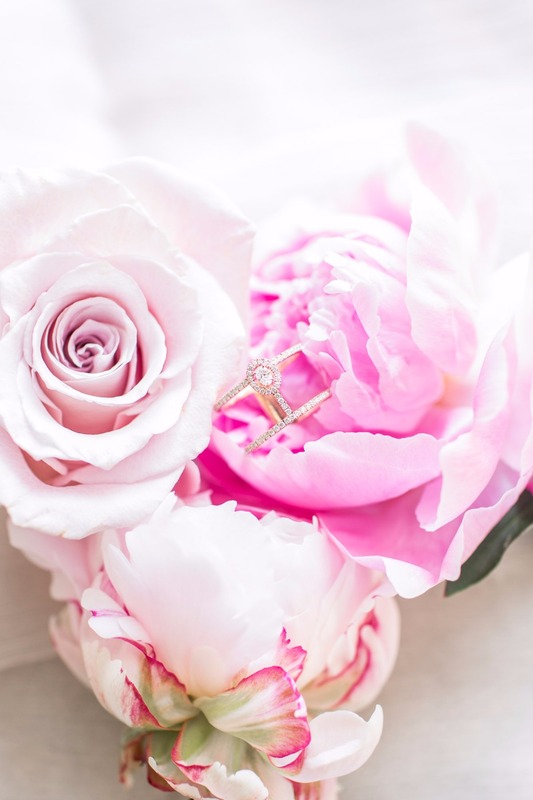 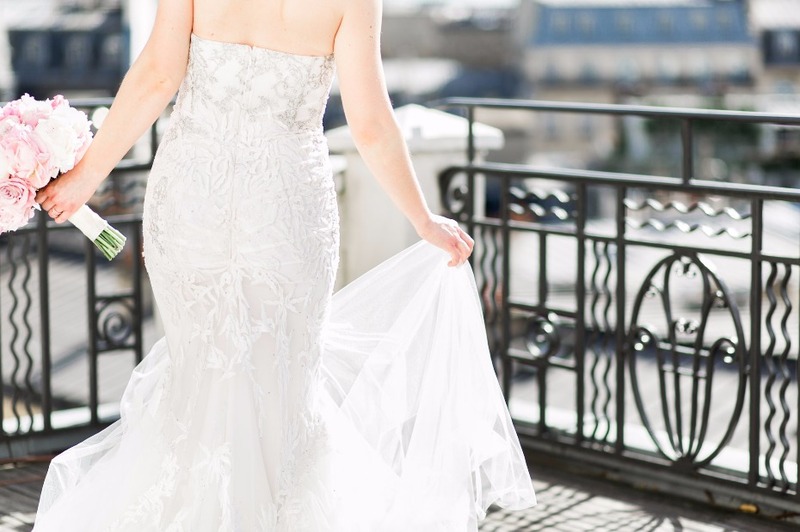 Stop by the full gallery and see all of Cavin Elizabeth Photography's stunning photos, they will practically transport you to this romantic little rooftop. 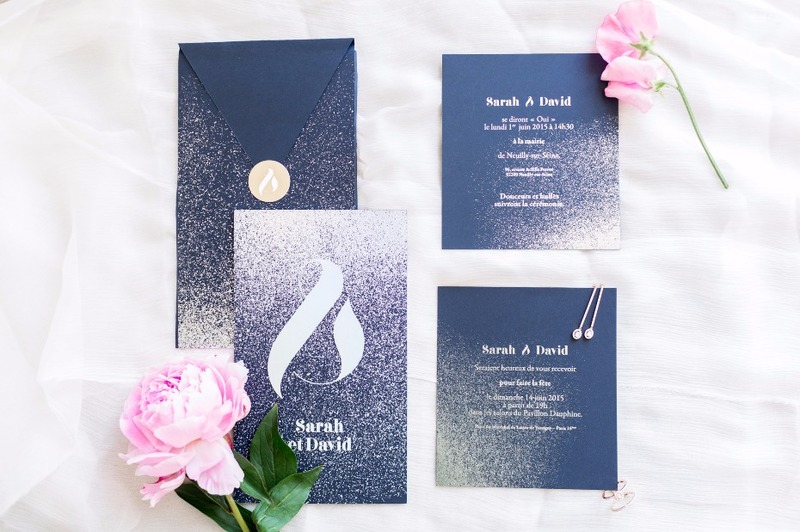 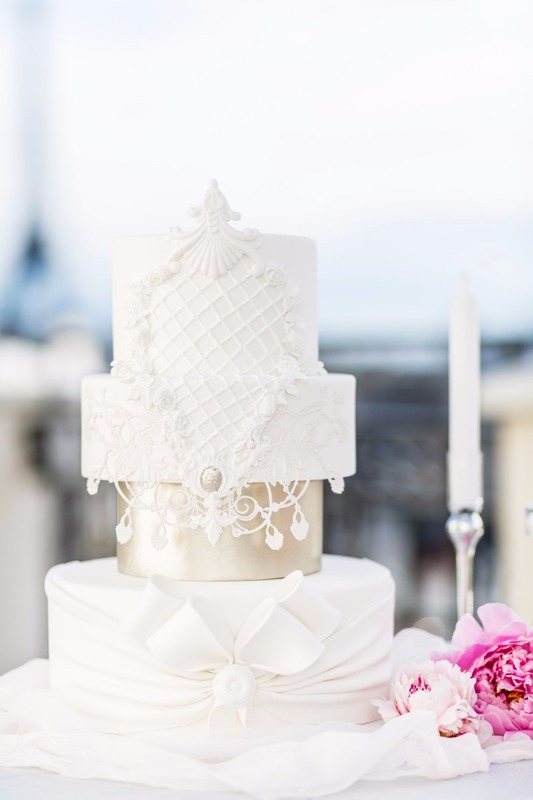 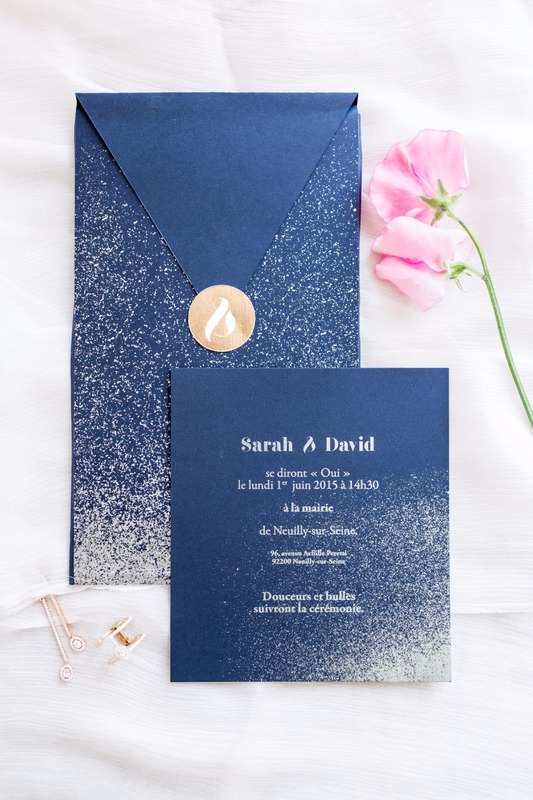 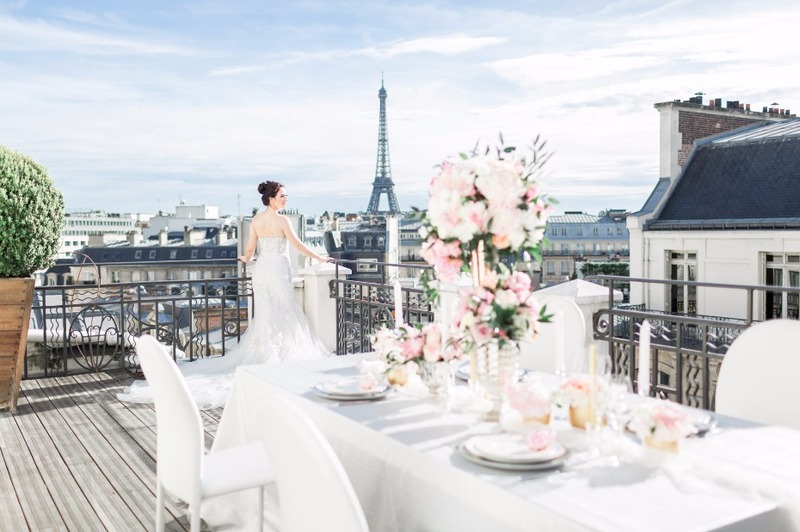 From Cavin Elizabeth Photography: This stunning rooftop editorial in Paris speaks to those brides who love modern design with color and Parisian sophistication. 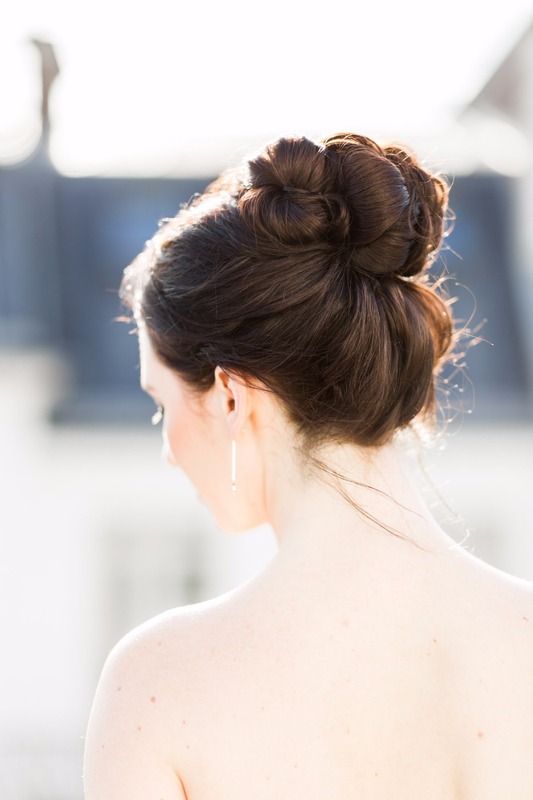 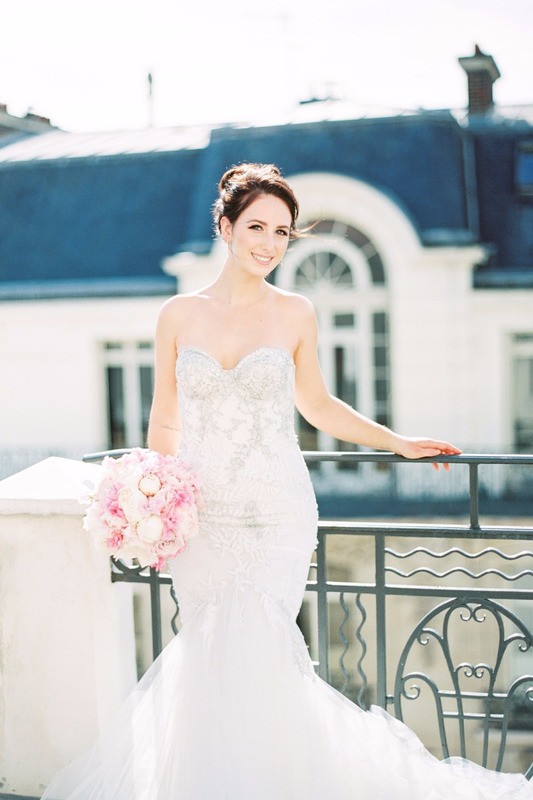 Our bride donned a gorgeous Inbal Dror gown with an elegant, yet relaxed bun and perfectly Parisian makeup. 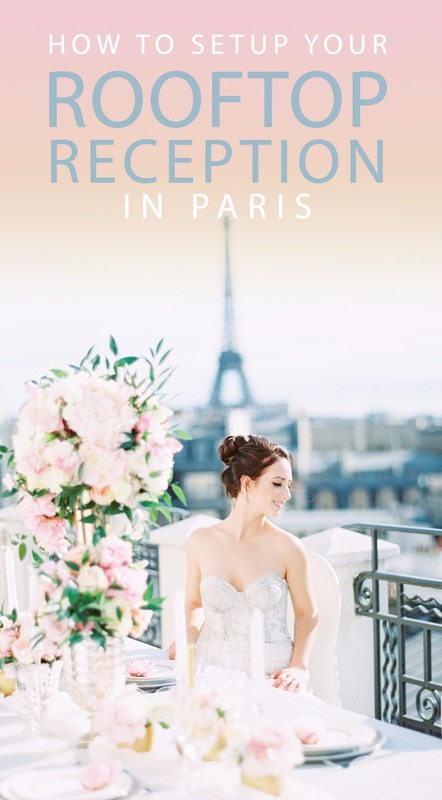 The end result was a stunning editorial that will inspire French and American brides with a love for Paris and a chic, colorful design. 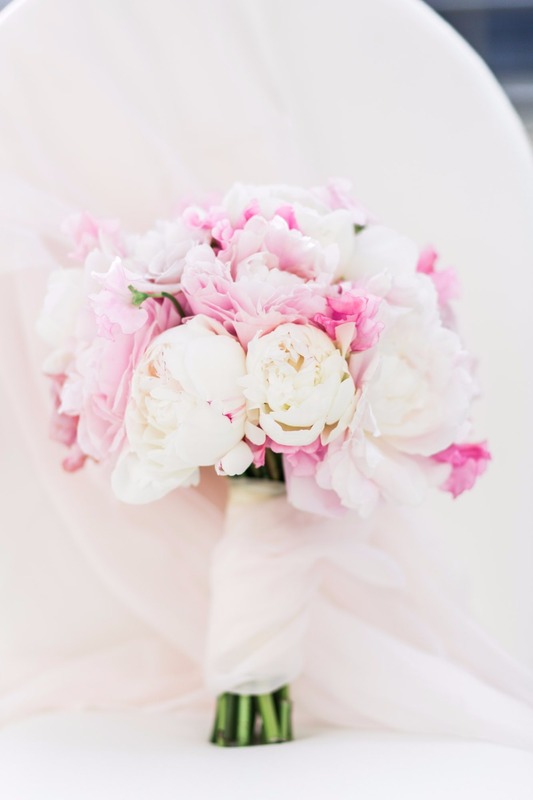 With a primarily pink color palette, the design mimics the romantic nature of the City of Love. 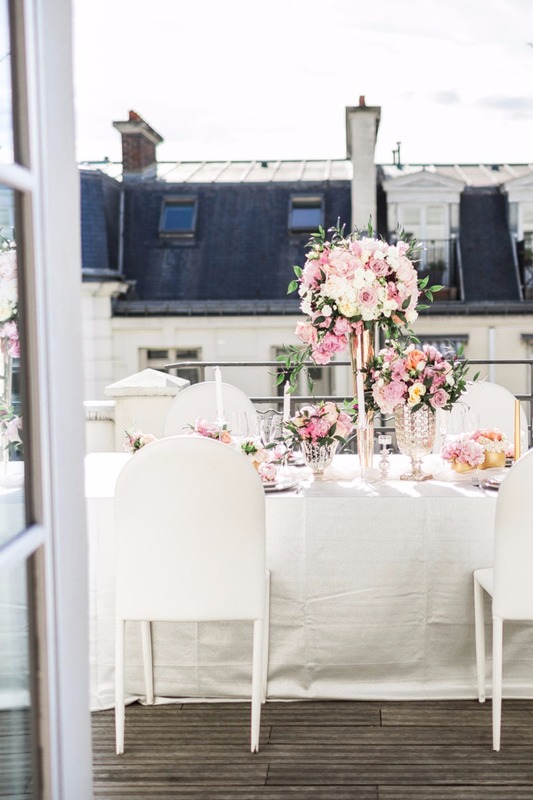 With a view of the Eiffel Tower, a large suite with rooftop at Hotel Marignan created the perfect venue for an intimate reception. 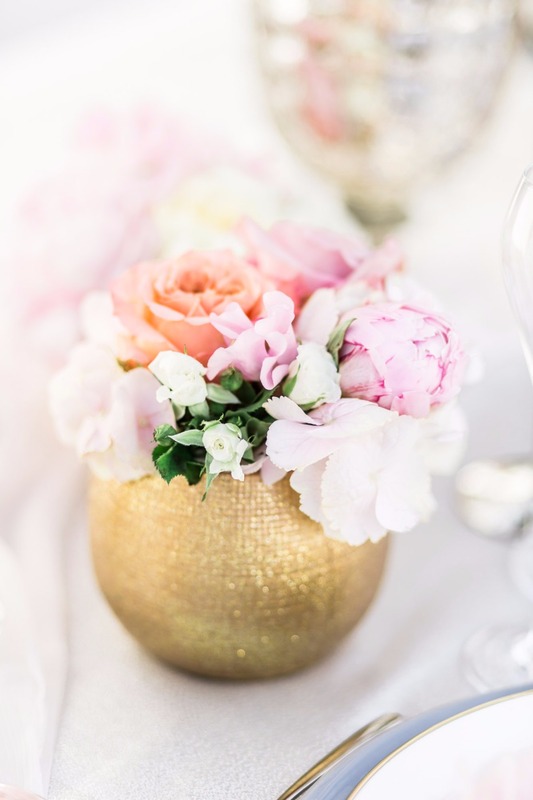 High and low floral arrangements provide a variety of focal points on the design, while a mix of colored plates did the same for the table setting.